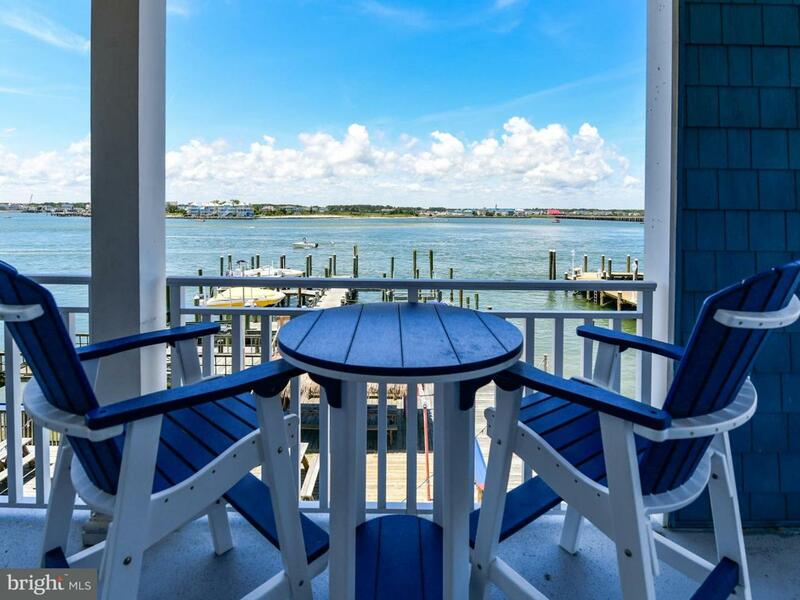 Exception Views are just the 1st attraction to this Low-Island Corner Condo in an intimate 13-unit Complex. 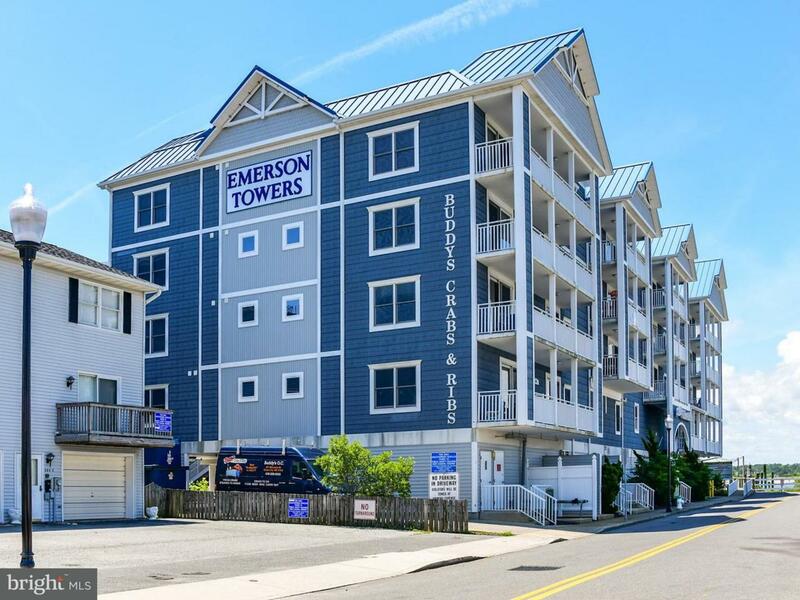 Secure Lobby, gated & covered assigned parking spaces #5 & #19, includes 2 deeded Deep Water Boat Slips: #4 @ 35' with 10k power lift on remote with auto stop + #5 @ 50' with 12.5k power lift on remote with auto stop. Access via 8' X 20' shared private Condo Pier replaced within past year. Owner's Summer Home, relocating to a year-round residence for future retirement, offered unfurnished. Bay front Master Bedroom presently enjoyed as their Music Room, Owner's will convert back at their expense as the new owner requests. Interior renovation 2013 also included fresh decor, bamboo flooring, surround sound system. Includes an over-sized storage locker on the same floor. Enhanced with gracious outdoor living space with appximately 545 sqft of wrap balcony, affording panoramic ocean to bay views. 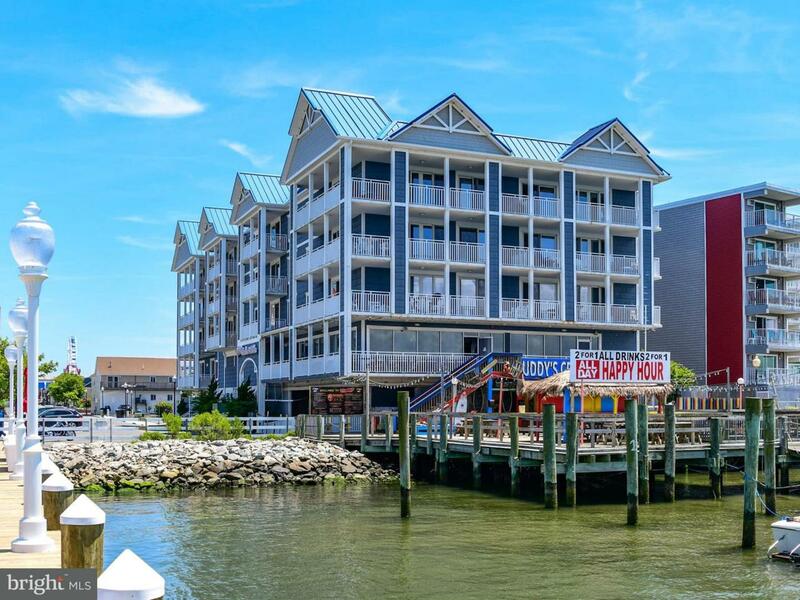 The neighboring White Marlin Marina and City Street views continue to provide entertaining views and activities, enjoying all this popular "Fish Head" location offers. 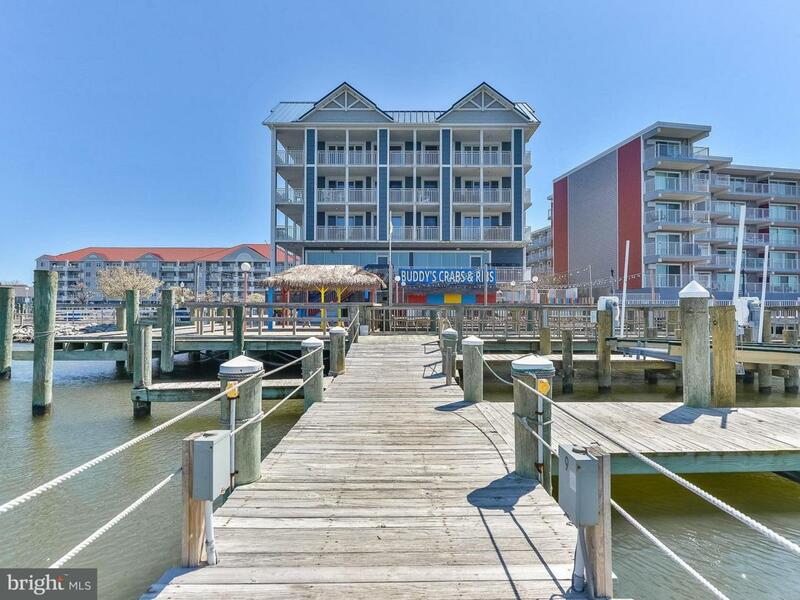 Ole Towne Resort location, close to the Boardwalk, entertainment, great eats and fun. As a rental, expect $40,000 +/- gross rental income. Pre-inspected, pre-repaired, includes a 1-year enhanced Home Warranty. Condo Fee paid quarterly @ $1,194, Water/Waste Water @ $181/quarter, electricity averages $1,000/year for condo & slips, Real Estate Taxes @ $535/month for condo and both boat slips. Inclusions Offered Unfurnished. Reference Remarks Relative To Boat Slips/Lifts.